You are doing VERY well! I used the FunCube dongle and just a dipole but could still get SOME copy of the UHF milsats, but not as good as what you see. 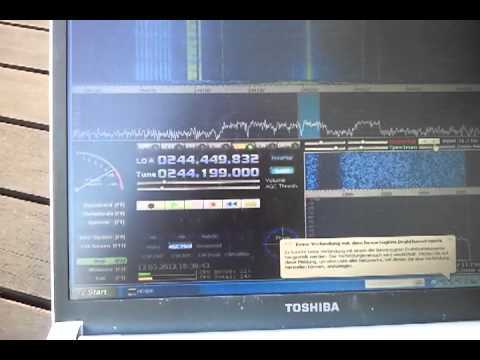 There are also frequency hopping signals on the satellite(s) that I could copy on the east coast of the USA. It sounded like “popcorn” and were easily seen as semi-random “pips” on the waterfall display across a few MHz, even with my weak radio/antenna set-up. With your gain antenna, it should be VERY much stronger. I do wish that they had some clear text/clear speech, other than the Brazillians. ;^) If they had something more to listen to, I was planning on building an RHCP beam, but I found nothing but enciphered data and Brazillian “CB’ers'” . Good luck and good radio ‘hunting’!